We’ll begin our treatment time by having a conversation about your health history, goals and any current health concerns. You can also ask any questions that you might have. Then we will proceed with your treatment. In your initial visit, this typically takes about 1.5 hours while in subsequent visits, it is much shorter. I’ll also use various other methods of assessing your health according to traditional Chinese medicine, such as feeling your pulse, looking at your tongue, and palpating any areas of pain or sensitivity, if appropriate. Then you’ll be asked to rest on a massage table while acupuncture needles are inserted. 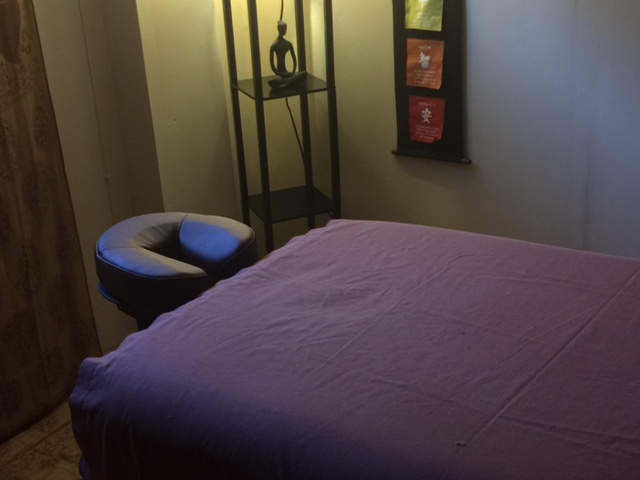 We may also include other treatment modalities, such as massage, cupping and moxibustion, if they’re right for you. Your treatment may include other modalities in addition to acupuncture. Depending on your needs, we may also work with massage, moxibustion, cupping, or gua sha as well. Lifestyle and nutritional counseling is also included. If you would like to combine Chinese medicine with yoga and receive a yoga practice prescription to augment and support the effects of your treatment, you can request one at any time (fees are extra). Although we will not have time to go through your sequence together during your treatment time, I will create the sequence for you and either email it to you or give it to you at your next visit. You can also choose to schedule a private yoga class to work through your sequence with me. Please see my yoga services for more details.